Elizabeth Warren kicked off her campaign by suggesting Trump belongs in jail. Her reference to the president spewing daily doses of racism, hate, and dark, ugly tweets inspired me to look at his Twitter account for myself. Here are the “worst” of his tweets from today. Sorry, Liz. Not buying it. He tweaks your nose and you say he belongs in jail? I’m kinda wondering here, Liz, whether Amy Kobuchar’s campaign launch speech qualifies as ugly or dark with you. Hmmm … kinda sounds like praise for Donald Trump’s leadership style. How very UGLY! Oooh … slamming Hillary! DARKNESS! WHAT A HATER! She probably belongs in jail too! Lizzy and the little drummer injun should run as a “first native American” ticket. Fake/Liar 2020. Seriously, can she really be so oblivious as to think she has a chance? Because, she has none, as a nominee, much less elected! 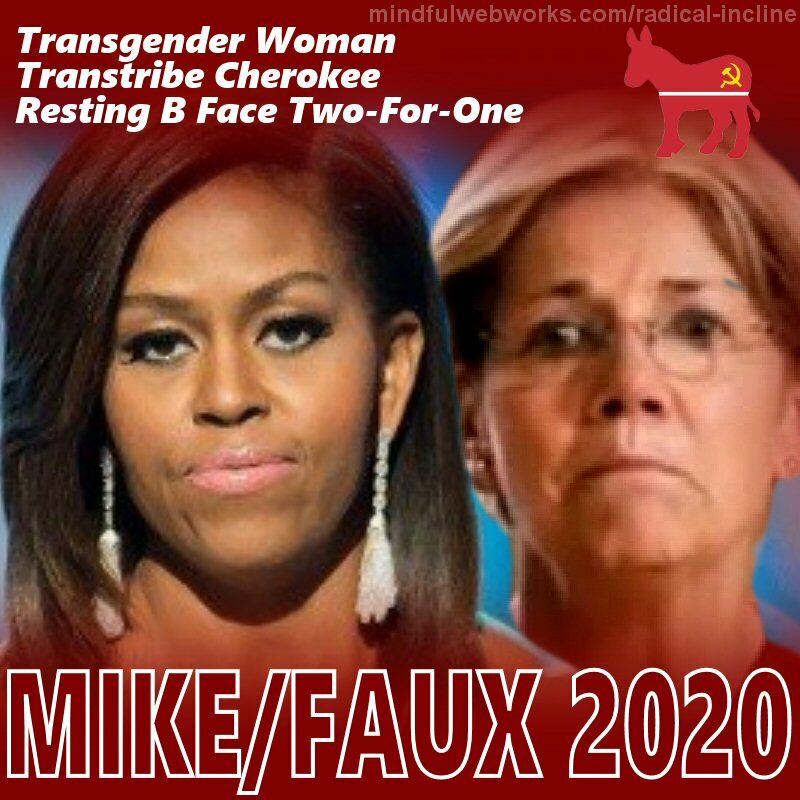 She’s Fauxcahontus forever, emphasis on the Faux. Maybe Liz could hope for 2nd banana if Mooch gets top billing?